‘Renovations’ and ‘stress-free’ are not words you often hear in the same sentence. As plumbers in Perth, we understand that sometimes you put off your bathroom renovations because you simply aren’t ready for the stress and chaos it brings to your home and family. We’ve come up with some handy tips on how to keep your bathroom renovation stress-free. Like any project, research is key to your success. Find out how long your bathroom renovation is likely to take. Nothing is more stressful than a renovation that takes way longer than you expected. Another key element to research is the cost. No-one has a bottomless pit of money so renovations need to be budgeted for accurately from the start. Consider allocating a 10% contingency budget of your overall expected spend so that if you do come across some unexpected costs, it doesn’t break the bank. Next, set your budget. Knowing what you’re prepared to spend from the outset will help keep your stress levels low and your project ticking along nicely. There’s no point setting a budget if you aren’t going to monitor it. 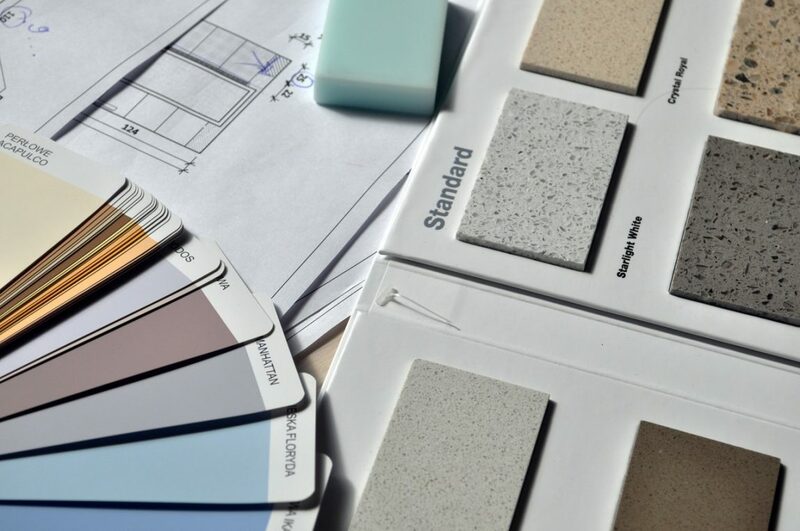 Keep track of your spending at each point during the renovation and make sure it keeps in line with your projected total costs. If you do end up going over-budget on something, take a look and see if there are any other areas where you can claw this loss back. When it comes to bathroom renovations in Perth, having a plumber on board that you can trust is critical. The last thing you want is a plumber you need to constantly check up on, have no idea whether they’re turning up or what stage the renovation is at. Our plumbers at Perth-Fection Plumbing are reliable, qualified and trust-worthy. We’ll always be there on time and make sure your bathroom renovation stays on track and on budget (as long as there are no surprises along the way!). If you’ve found a reliable plumber, this should be taken care of leaving you footloose and stress-free. Accurate measurements mean that when fixtures and fittings are ordered and installed, they’ll fit where they are supposed to with no dramas. Inaccurate measurements can wreak all sorts of havoc on a bathroom renovation, and could end up costing you precious time and money. Avoid this stress by measuring accurately from the start. During your bathroom renovation, you’ll want to try and stay organised. It’s a good idea to keep a folder with all your receipts and invoices to help you keep on top of the costs and make sure it’s not spiralling out of control. A spreadsheet with your expenses and a timeline of what’s getting done when can help you stay on track with your budget and deadlines for the renovation. One of the most stressful things about any kind of home renovation is the constant mess that comes along with having work done on your home. The dirt, dust and debris never seem to be able to be contained to the space you’re renovating. Somehow it ends up in every nook and cranny and on every surface possible – including inside cupboards! Set aside a few minutes each day once your plumbers and renovators head home to give your area a quick sweep, dust or vacuum. Getting rid of the mess with help you stay calm and stress-free during your bathroom renovations! Using a skip throughout the process will help you be able to keep things neat and tidy, and an extractor fan can help with the dust. If you’re thinking about bathroom renovations for your Perth home, call our plumbers today. We’re experienced in all kinds of bathroom and laundry renovations, from neat and tidy to large and luxurious. Not sure what you want? Let us help you design and style a bathroom that complements you and your home perfectly! Call us on 0451 781 384 today for a free quote for your bathroom renovation.